Do you have a minute-and-a-half? Then you have time to improve your sales acumen. That’s the premise behind Mike Faber’s book 89 Seconds to Sales Success (Broadcast Your Best™ Publishing, $15.95). Faber presents 50 tips, insights and strategies, each of which can be read in 89 seconds or less. Which means you can get a quick hit of sales advice each work day for a couple of months, or—if you’re the impatient type—you can polish off the entire book in just over an hour. Either way, the book is definitely worth the minimal time investment. Faber offers concrete solutions for many of the common challenges salespeople and business owners regularly face. Challenges like what to do when you reach a plateau, how to reduce feelings of overwhelm and when to ask for referrals. I particularly like his suggestion for dealing with the fears that plague us all. • And more than a dozen great questions to ask prospects. The book’s tone is light and conversational, making it enjoyable to read. And rather than brag about his success, Mike relates many of his failures, focusing on the lessons he learned. 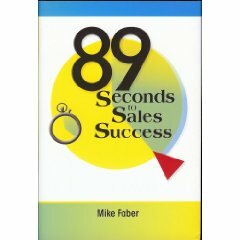 By the way, if you’re a sales manager, business owner or CEO, take a look at Faber’s other book, 89 Seconds to Leadership Success. Written in a similar manner to the sales volume, you’ll find fifty actionable strategies based on six key principles for leadership success. And regardless of your position, check out Faber’s innovative sales training tool, The 52 Greatest Business Development Questions Ever. It’s a card deck featuring 52 powerful sales questions, along with four ways to use the cards. Besides Texas Hold ‘em, that is. The 52 Greatest Business Development Questions Ever! Whether you’re a salesperson, sales manager, business owner or professional, you have a lot of demands on your time. Your “To Do” list is longer than a Tolstoy novel. How can you maintain some semblance of control over your schedule so you can devote the time you need to selling while still attending to all the other things that are also important to you? These six strategies can help. Make phone calls early. That way, if you get people’s voice mail, they’ll have a chance to get back to you that day. Be sure to let them know when you’ll be available to receive calls. Schedule your most difficult work for the time of day when you perform best. And set aside some quiet time each day so you can concentrate, think and plan without the phone and other distractions bothering you. When it seems like everything is a priority, things like prospecting calls, follow-up visits and other sales activities are all too easy to postpone. But those are the activities that drive your business! If you don’t sell, you don’t eat. So schedule sufficient time in your day for sales-focused activities and hold that time sacrosanct. Not everything on your “To Do” list is equally important or urgent. As you create your daily schedule, make sure you plan your high-priority tasks (Like prospecting calls!) earlier in the day to ensure they get done. Then if things take longer than expected (Don’t they always? ), the items that get bumped will be your lower-priority tasks. In most people’s offices, space is at a premium, and clutter can slow you down dramatically. If you can’t find what you need, when you need it, you’re losing valuable time. Investing a few hours doing some systematic filing will pay for itself almost immediately in increased efficiency. 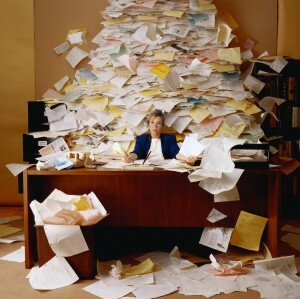 File every document and throw out what you don’t need. Get a contact manager software package or a day planner to keep track of names, numbers and other critical information. Make a habit of using it regularly so you’re not constantly searching through piles of notes. You can’t do everything. And even if you could, it wouldn’t be the best use of your time. Delegating and outsourcing saves you time and usually gives you a better result, thus letting you focus on the tasks that are the most profitable for you. Don’t try to take on everything. If you’re already stretched thin, you’re not helping anybody by piling more onto your plate. Politely turn people down by saying that you’re too busy right now to give their project the attention it deserves. Better to cultivate a reputation for being honest (And in great demand!) than to end up with a reputation for shoddy work and missed deadlines. 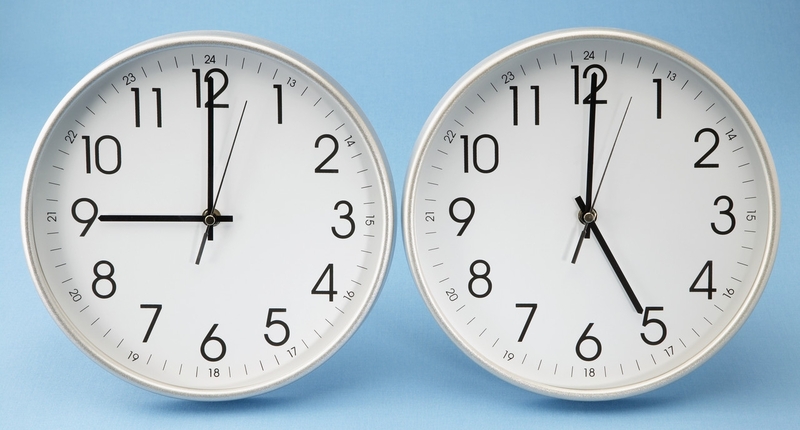 Do you have any other time-management tactics you use to maximize your sales time? If so, please share them below! It was 2005 and I was the general manager of Evergreen-Washelli Memorial Park and Funeral Home in Seattle. 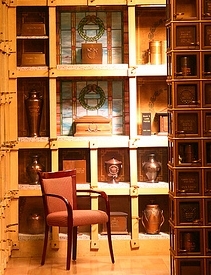 We had rather stiff rules on what would be allowed in columbarium niches, and we had them for good reason. 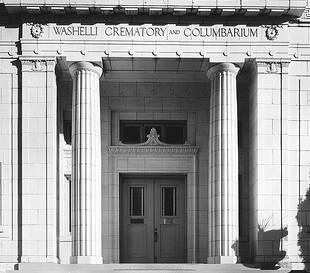 Washelli Columbarium’s point of pride is the quiet dignity it offers visitors: warm rooms, private personal courts, carpeted floors and strict control over niche content. In the past we had rejected hand-made airplanes, books that had been authored by the occupant of the niche, photos and nearly any item that did not have “staying power” over a 100-year span. With more than 65,000 niches this can be most important. We had to consider every visitor that would walk through the doors decades from now. After having his request turned down by another staff member, Mr. K (privacy is respected here) wanted to meet with me about his driftwood. Mr. K handed me the driftwood and said in quiet tones that he wanted to place it with his mother. I complimented Mr. K on the general beauty of the driftwood, and I told him of our policy regarding wooden objects, which stemmed from our concerns about how long they might last, especially when looking at it from the long-term—perhaps centuries—viewpoint. He was disappointed, but accepted my ruling. As Mr. K. prepared to leave, I felt a little small talk and some visiting would make him feel better before he left, so I engaged him in conversation. Mr. K was Japanese-American, born here, yet he had the mannerism of the old country. His courtesy and palpable respect were disarming. We visited about Seattle and the Pacific Northwest and somehow got on to the subject of his youth. I figured him to be about eight years my senior. That meant he likely had been a boy of about seven in 1941. He was reluctant to go into details at first, but I felt compelled to ask some gently probing questions. Had he been forced to move when World War II broke out? Yes, he had been. It was during the Roosevelt administration that Japanese-Americans were ordered “for security purposes” to be moved from costal areas, and interned inland. Mr. K’s family was taken quickly, without the opportunity to gather much in the way of personal effects or to say good-bye to neighbors and friends. His family was taken to an internment camp east of the mountains to join hundreds of other Japanese-Americans also removed without hearing or even so-called due-process. He didn’t understand much about it at the time. He knew his Mother was most worried as he had serious asthma problems. “I remember Mom pounding on the gate to get the guard’s attention regarding my breathing issues. I remember Mom’s hands bleeding from pounding so hard.” I looked at Mr. K with laser-focused attention. I was getting embarrassed for my country and thus for myself. I told Mr. K how sorry I was and ashamed we had done such a thing in the name of fear. He held no grudge, which truly amazed me. “No toys? What did you play with?” I asked. “We would pick up most anything and make believe it was a car or a doll,” he said. As Mr. K started telling me about make-believe I noticed how he reached over to touch the piece of driftwood now sitting on an office chair; driftwood shiny with age and handling. I was afraid to ask. But I had to. There is a time to break the rules. There is a time to do what is best for the customer. We must never lose sight of why we are in business in the first place. Mr. K’s parting handshake was the most wonderful and heartfelt I have ever shared. His was a forgiving hand, mine was a thanking hand. Mr. K passed away not long ago, but his memory will never pass from my consciousness. 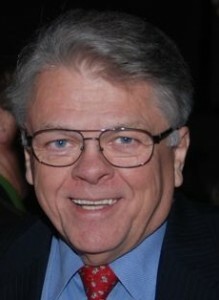 Paul Elvig is the retired general manager of Evergreen-Washelli Memorial Park and Funeral Home in Seattle, Washington. He is also a past president of the International Cemetery, Cremation and Funeral Association. He still provides expert testimony on issues relating to the death care industry. To e-mail him, click here. One of the most powerful elements of LinkedIn is the ability to join and participate in groups. You can post, comment on and follow discussions; post and read news and blog articles; and find new connections. There are three types of groups you should join: groups related to your industry, groups related to your target markets and groups related to sales. While I can’t help you with the first two, I can recommend some great groups in the third category. In addition, there are many sales-related groups that are focused on a specific region such as The New York Metro Sales Connection, Chicago Sales Networking, Atlanta Sales Professionals and Sales, Marketing, Technical and Senior Executive Club-Asia Pacific. So check out these groups, join some or all of them and participate! For more of my favorite quotations, check out Great Thoughts on Sales, Business and Success and More Great Thoughts on Sales, Business and Success. Is it possible to be too nice? It may seem like an odd question, since as far back as we can remember, our parents, teachers and other authority figures (not to mention Sesame Street) drilled into us the importance of being nice to others. And yet, the answer is an unqualified “yes.” It is absolutely possible to be too nice: in sales, in other areas of business and even in your personal life. And being too nice can have disastrous consequences. 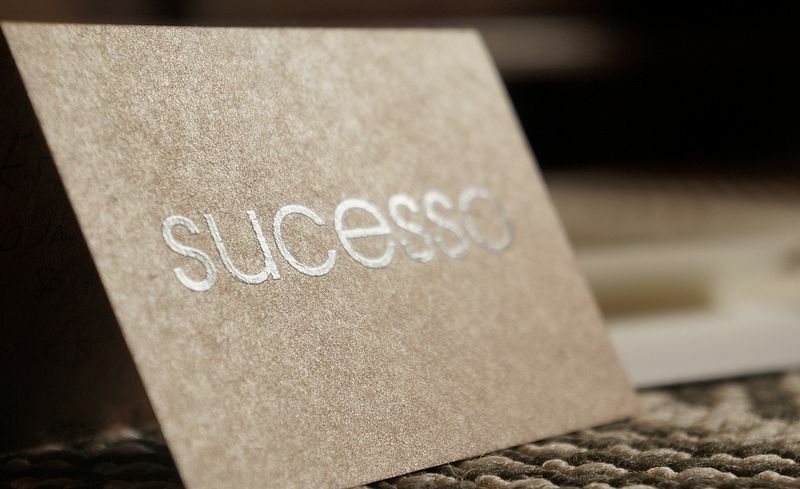 A salesperson who is too nice will give away all their profit, jump through endless hoops for a sale that may never materialize and acquiesce to every customer demand, no matter how unimportant it actually is to the customer or how difficult it is for the company to fulfill. Such a salesperson will get taken to the cleaners, and both the salesperson and the company will suffer as a result. A manager who is too nice doesn’t hold their people accountable, isn’t effective at resolving conflicts and can’t fire someone who desperately needs to be fired. All of which hurts the entire organization. If you’re too nice in your personal life, friends, family and even casual acquaintances will constantly take advantage of you, draining you of your time, energy and—often—money. Leaving you without enough of those things for yourself or for those who are truly deserving of your kindness and generosity. In each of the above cases, people may like you, but primarily because they know they can walk all over you. And they definitely won’t respect you. So precisely how nice is too nice? When your niceness ceases to be an asset and starts to become a liability. When you can’t be effective because you’re too worried about someone else’s feelings, real or imagined. In short, when your niceness is sabotaging your success and preventing you from reaching your goals. • Do I typically back down in a confrontation? • Is it very important to me that people like me? • Do I frequently volunteer to do extra work? • Do I go to great lengths to avoid conflict? • Am I cutting my margins too often? • Do I consistently sacrifice myself for others? • When people make requests, do I always say yes? • Do I avoid complaining because I don’t want to cause trouble? • Am I spending all my time on other people’s issues? • Do I make excuses for others’ bad behavior? If you suspect you’re too nice, talk with a trusted friend, a mentor or a therapist. Read some books on leadership, negotiating or self-confidence. Keep in mind, you can still be courteous, sensitive and respectful when you’re refusing a request or lodging a complaint or calling someone on the carpet. Niceness and assertiveness aren’t mutually exclusive. In fact, employing both together will make you more effective and help you achieve your goals faster, in sales, business and life.